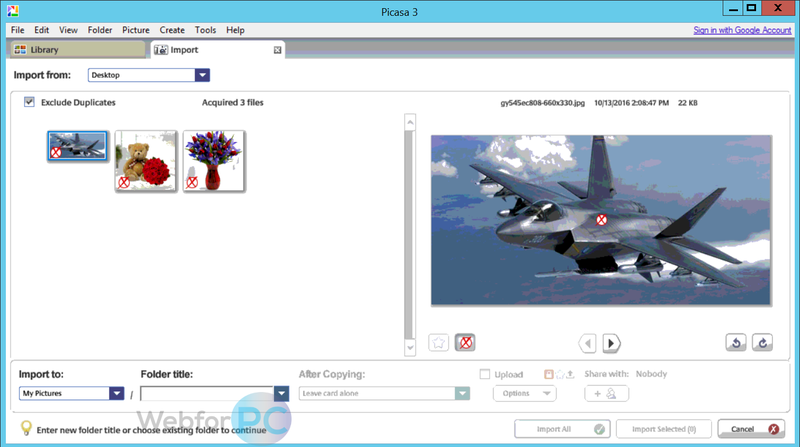 Free download latest Picasa 3.9 Build 141.303. 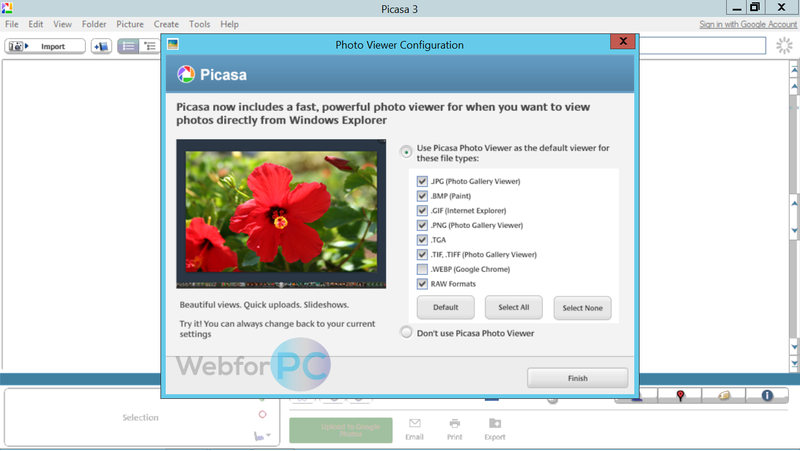 This is latest offline setup installer for Picasa, where you may experience the ultimate digital image editing skills. Picasa is your way to efficiently organize, view and edit digital images with an ability to share product photos online via social media sharing options. 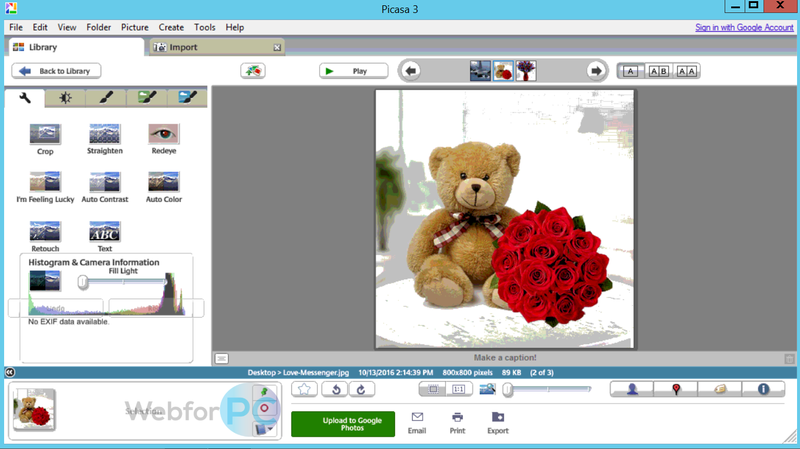 There are plenty of things, to be counted to consider Picasa’s abilities beyond a conventional photo editing and image viewing tools, available. While being owned by Google, the product is offered for free and the appearance of updates out there are the clue of improvements that had been made over the time. The version out here is equipped with some distinctions to its predecessor releases like the more stability, some layout changes, detailed tracking, and an efficient way to browse and detect all saved images from the Computer. Opting in for Picasa is provides multiple options to trim down the picture desired by furnishing the choice with some handy tools like, Retouching, RedEye removal, Auto contrast, color and they are literally available by checking in with an individual image out there from the user interface. Further, there exists a separate tab referring the “image effects” to opt amongst the Sharpen, Sepia, B & W, Warmify, Film Grain, Tint, Saturation, Soft Focus, Glow, Filtered B & W, Focus B & W and Graduated Tint modes. Picasa latest is there to provide even more and useful image processing for fun and for professional needs as well. RedEye repair is something that is to be praised with the version 3.9, and all it required is to hold down the mouse around the Eye which would be providing a prompt selection box to select the area desired and removing the Red-Eyed area until the area is selected or saved, alternatively release the hold to un-select or delete the change that has been made. Similarly, there exist a lot more functionalities like image straightening and sketch draw, that are really expected in such an innovate tool. Not to let the review get biased, Picasa is something more to just a photo editing tool and that is referred by an efficient Movie Maker which is there to create some quick movies by playing the background track of the choice and by adding multiple images to the slideshow and in an automated organized way. Transitions to the slides could be made and, a trimmed film can be created in a shorter period of time with multiple customization options like, text editing and backgrounds inclusion. Finding images from a local disk was never so easy which is being furnished by automatically locating the images on the drive, further, the images can be organized in a way by facial recognition for the same person under the album desired. What we have experienced the most useful feature out there is the removal of low-quality pictures from the indexes as, this feature can be invoked by opting out from the pictures while reviewing them for printing. In addition to the features referring the arrangement of beautiful “Web Albums” and the presence of innovative tools, Picasa 3.9Build 141.303 expertise in the following functionalities as well. Edit with efficiency and perfection. Powerful image editing in your finger tips. Experimenting the photos for correct color selection. Sharing name tags on Google +1 circles. Share your favorite images online in a single click. FTP server publishing for an album. Video creation with batch photos and a lot of other options. Uploaded Here On: 13th of October 2016. System Required: Windows XP, Windows 7, Windows 8. (32 Bit, 64 Bit). 30 MB Disk Space and 2.0 Ghz Processor with 1 GB RAM. Picasa makes sure that, your digital images always stay organized and ready to be shared. While supporting multiple image formats like GIF, JPEG, BMP and other, the product is a choice for professionals, students and home users as well. Now the pertinent usage for the products counts as the creation of quick slideshow videos within minutes to demonstrate or present a project conveniently and efficiently. Sharpening your favorite images, color adjustments, and contrast settings are up to the mark with latest edition, which is bundled with some other significant improvements, leading from the interface to functionality. Opt in for a download button below, which would let you download the latest version setup Picasa (v3.9) just is a single click.